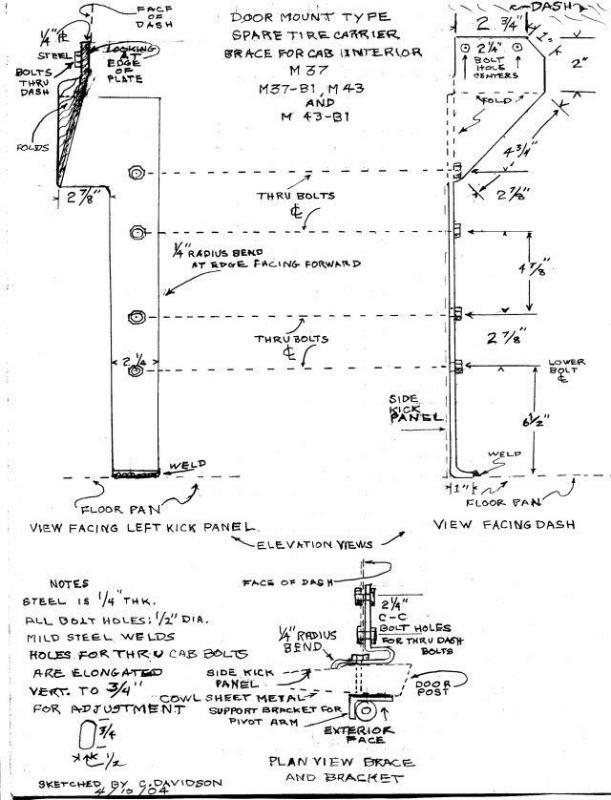 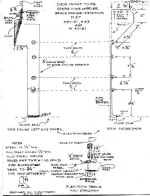 1 Sketch showing the cab brace and arrangement of bolts and assorted hardware. 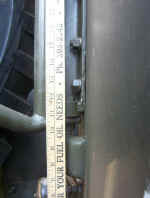 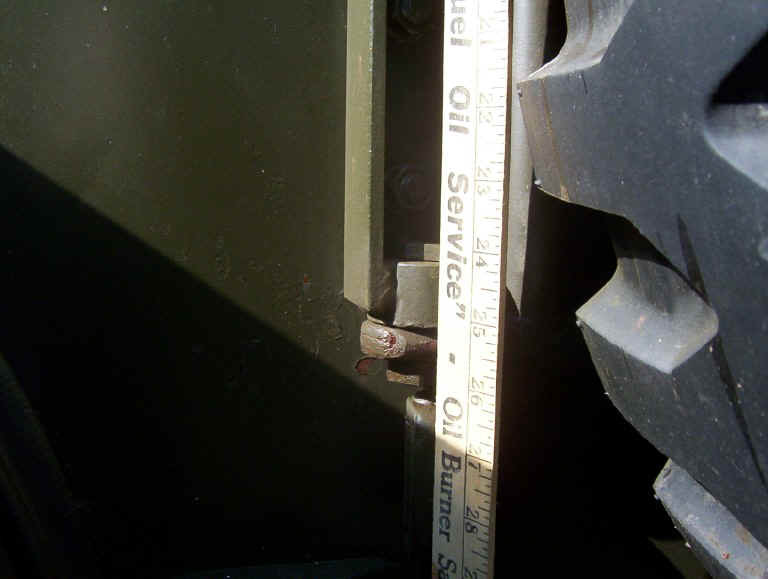 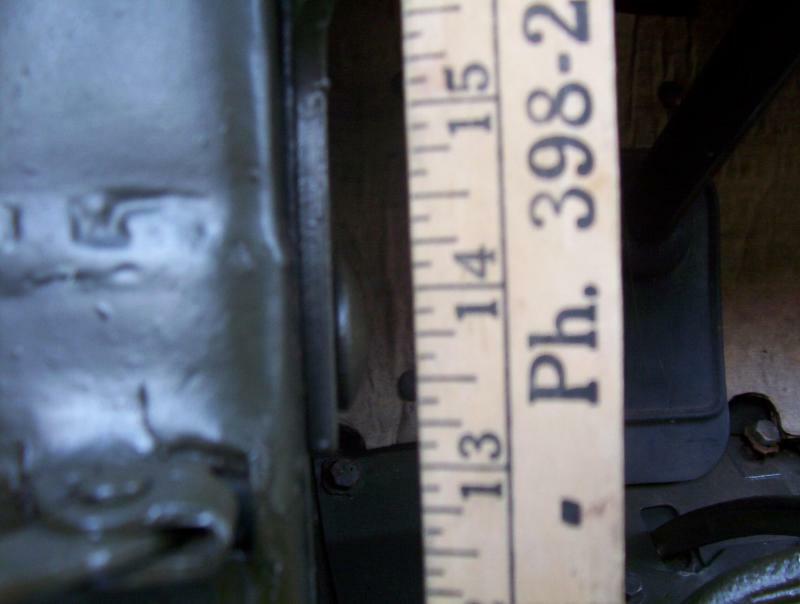 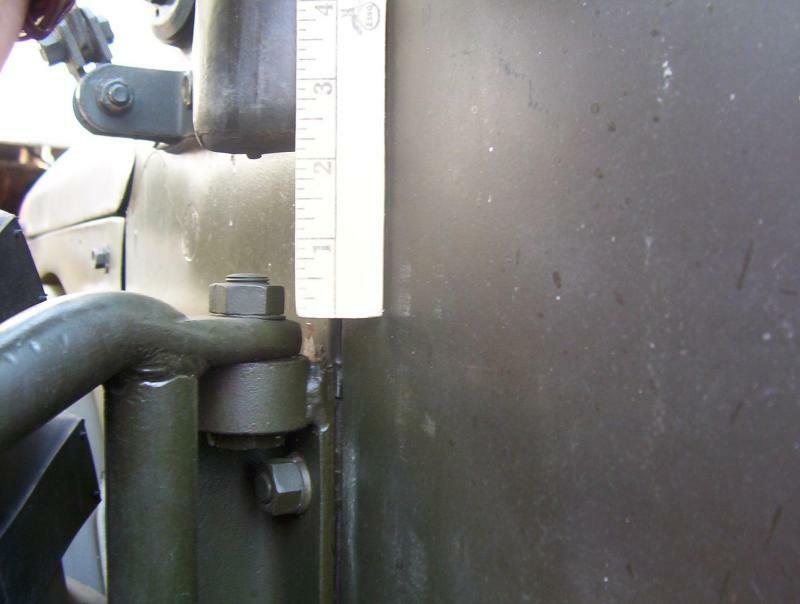 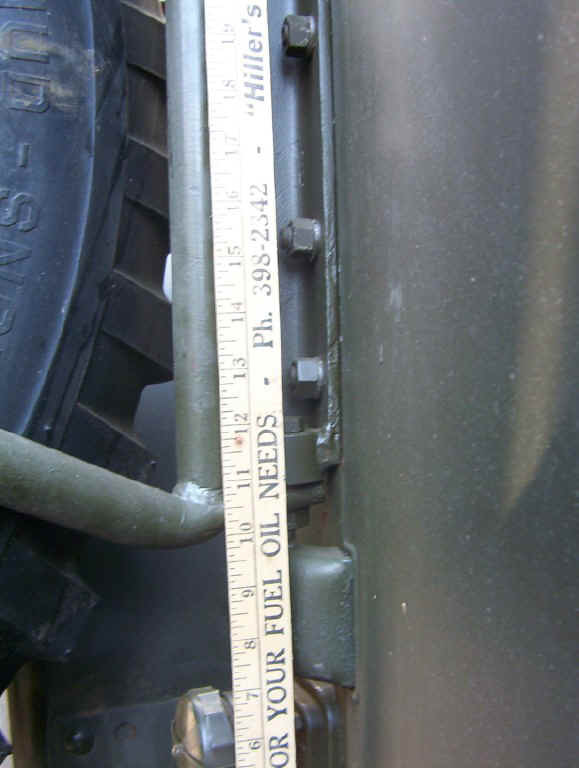 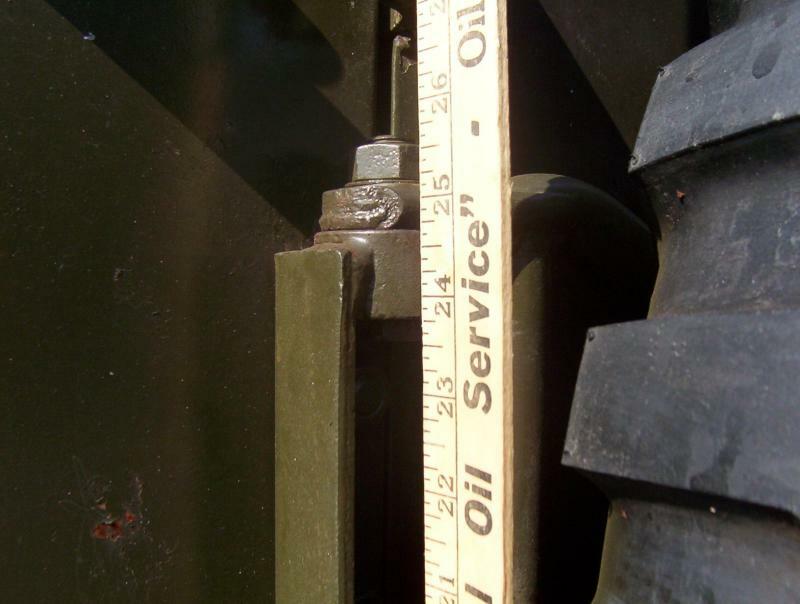 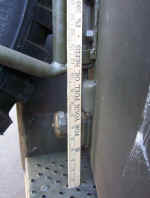 2 Location of the top of the hinge relative to the running board (yardstick is sitting on the running board). 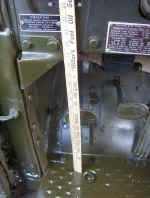 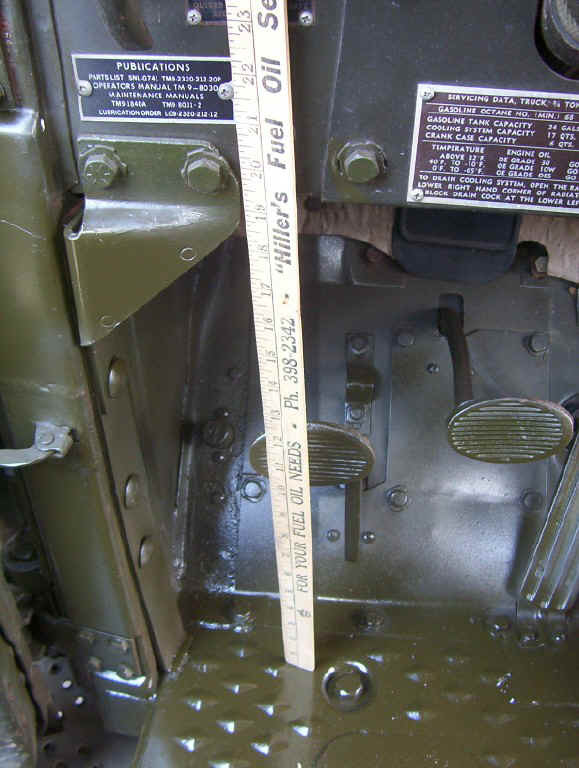 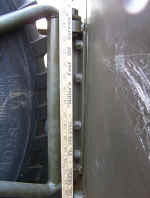 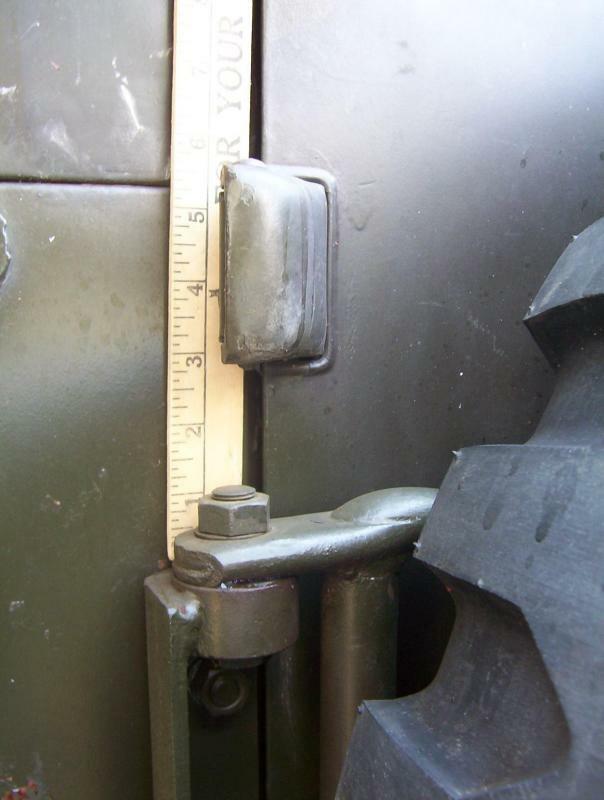 3 Location of the bottom of the hinge relative to the running board (yardstick is sitting on the running board). 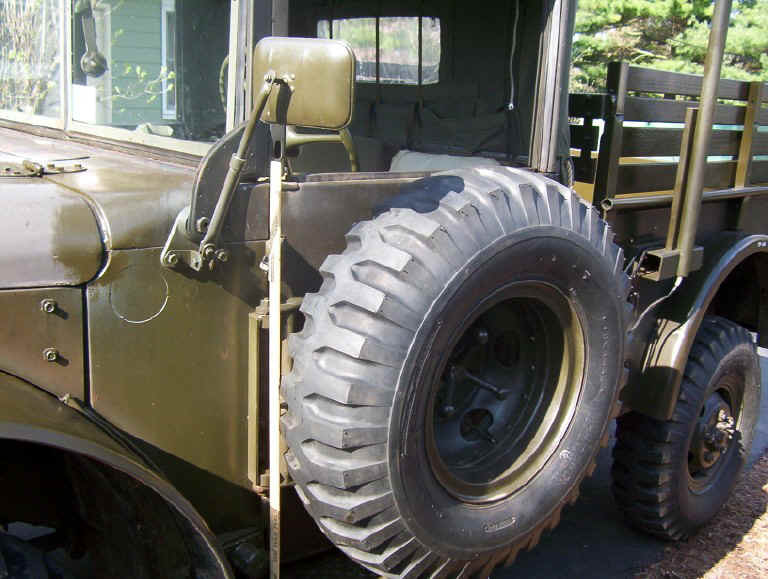 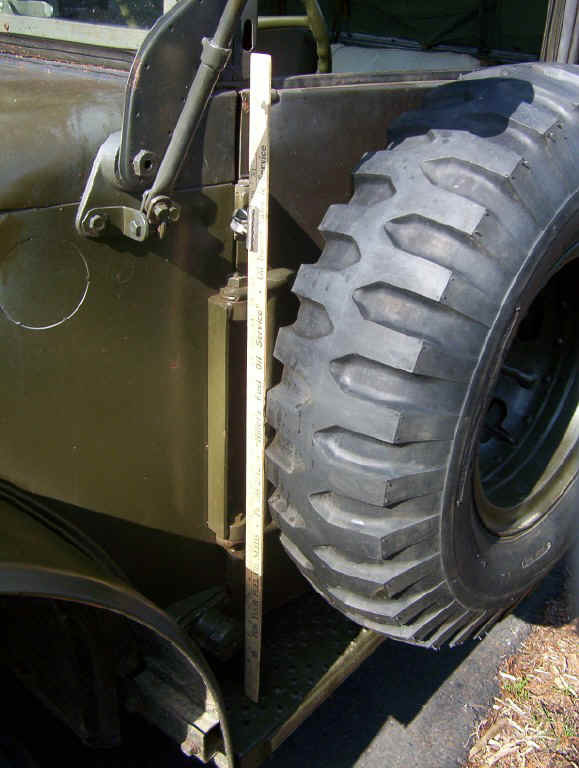 4-5 Relation of the top of the tire carrier hinge to the top door hinge. 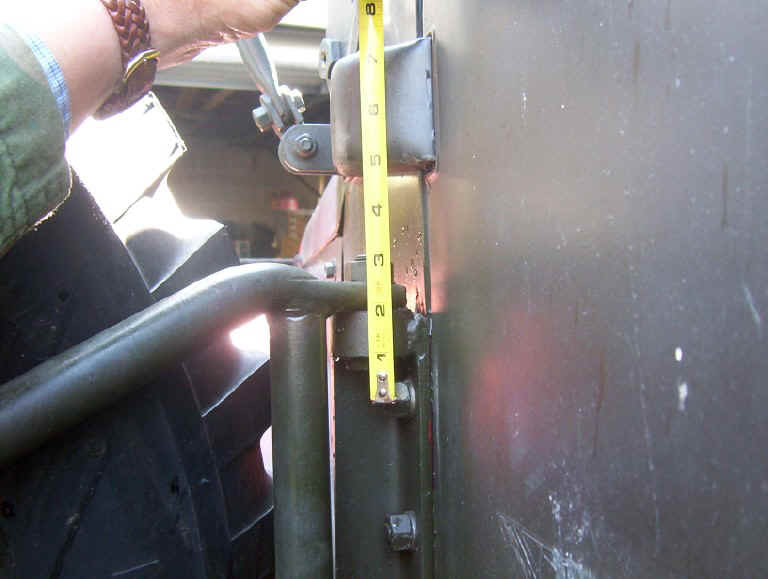 6 Bottom of cab brace on door, yardstick resting on running board. 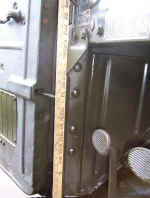 7 Cab corner brace, yardstick is resting on the running board. 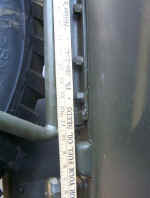 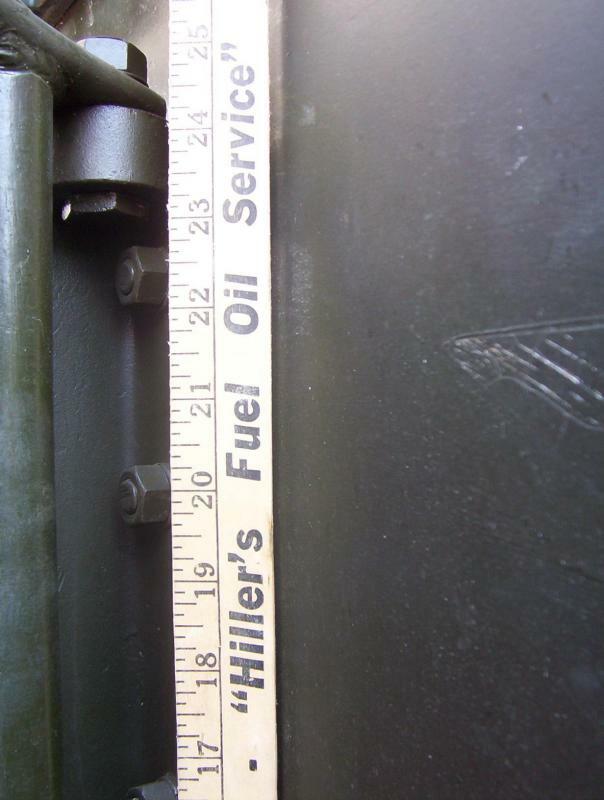 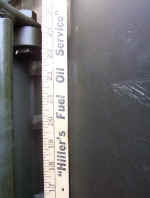 8 Location of the top of the hinge relative to the running board (yardstick is sitting on the running board). 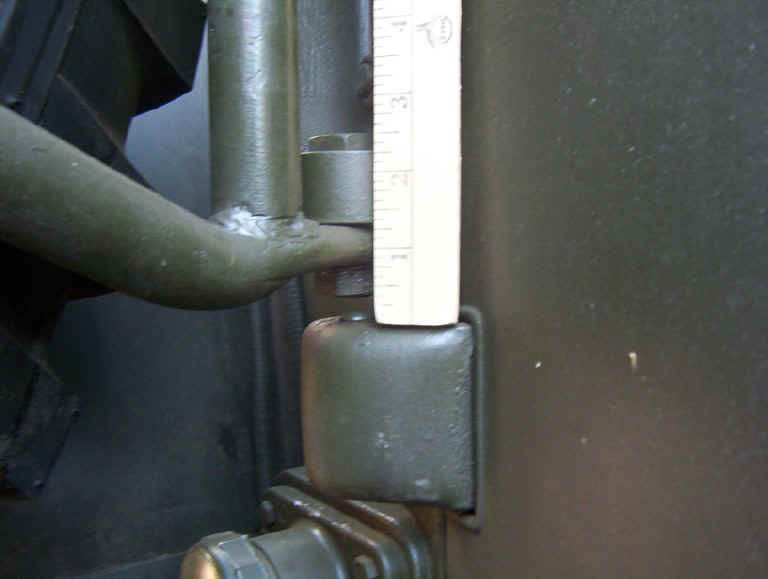 9 Location of the hinge relative to the running board (yardstick is sitting on the running board).